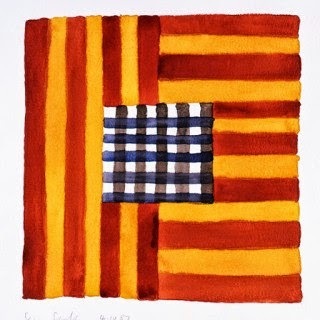 This is a print by Irish-American painter Sean Scully posted on Artspace. He usually does large paintings, but this piece measures 11" x 11." When I look at this, I feel a new quilt coming on!